Subject to certain limitations, California HOAs are given the power to foreclose delinquent assessment liens through nonjudicial foreclosure. Nonjudicial foreclosure is a powerful tool that generally provides for significantly lower fees and costs and a faster time to sale as compared to judicial foreclosure. However, Ca. Civil Code Section 1367.4(c)(4) makes any nonjudicial foreclosure by a HOA subject to a ninety (90) day “right of redemption.” That right allows for the delinquent (foreclosed) homeowner to “redeem” (to reinstate her ownership of) the unit within ninety (90) days following the nonjudicial foreclosure sale by paying the “redemption price” in accordance with Ca. Code of Civil Procedure Section 729.060. 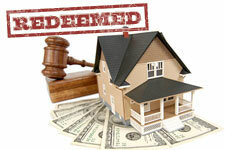 The redemption price typically amounts to the unit’s purchase price at the nonjudicial foreclosure sale. In the case where the nonjudicial foreclosure results in ownership of the property transferring to the HOA, the redemption price often amounts to the total amount of the homeowner’s delinquency, including the total amount of the collection fees and costs incurred by the HOA up through the completion of the nonjudicial foreclosure action. The defendants’ failure to introduce evidence “demonstrating that it mailed the Multanis a notice of right to redemption as required under Section 729.050” was a factor in the Court’s decision to reverse the trial court’s summary judgment award entered in favor of defendants and to remand the case for further proceedings. Multani serves as another important reminder of the need to ensure that your HOA is strictly adhering to the myriad of procedural requirements applicable to assessment collection. Even where a HOA and its collection agent/attorney have taken virtually every step that is required, one simple error could result in a protracted and costly legal dispute.